Close your eyes and enjoy a unique sensory dining experience at Dans Le Noir? The pleasures of eating stem from the combination of our sight, taste, sound, touch, and smell. But what if you remove one of these key senses – your sight? That’s what Dans Le Noir? is all about. Meaning “In The Dark” in French, patrons dine in complete darkness. 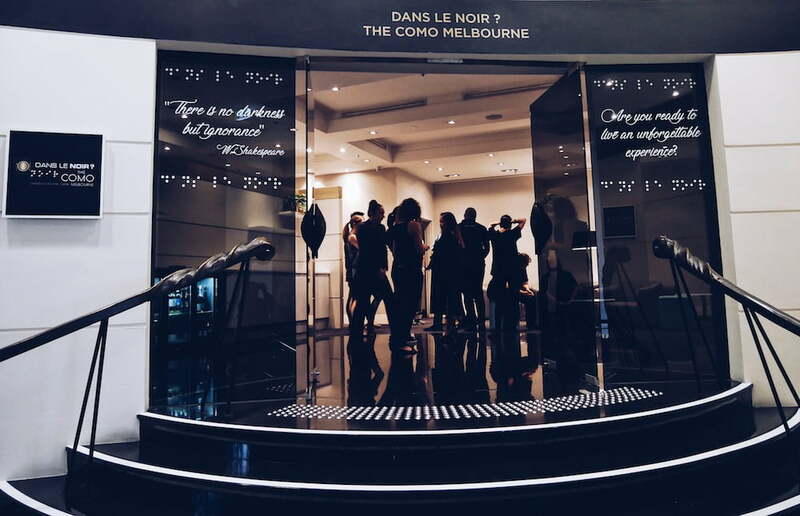 Hailing from France and expanding throughout Europe, the 60-seater dining room at the Como Melbourne McGallery Sofitel has been feeding guests in the dark since January of this year. First, decide between the superior menu ($95 – starter, main, dessert) or the deluxe menu ($115 – amuse-bouche, starter, main, dessert, cheese plate), adding matching wines if you please. Then, choose from three options – Feed Me Chef, Fishermans Cove or the Seasoned Vegan, before being carefully led into the dining area. 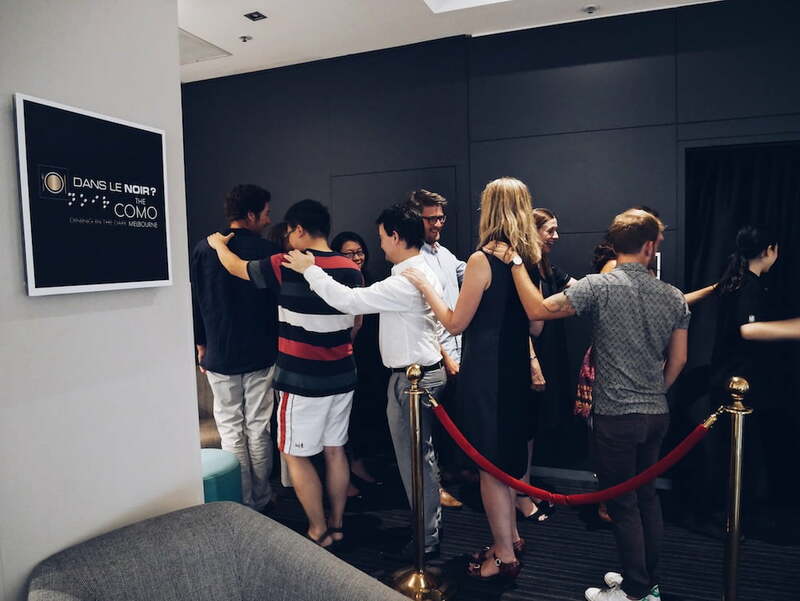 Escorted by visually impaired staff, a congo line of diners with hands on shoulders prevents losing one of the pack. As your eyes adjust to complete darkness, touch becomes your biggest asset. Feel around the table for fork, knife, and glass. After staff cheekily advise that you must pour your own water from the jugs on the table, excited diners declare that they filled their glass without missing. When delicious aromas fill the room, we knew the entrée was coming. Our guide Margaret advised when our meal and matching wine was right in front of us. Because let’s be frank, we wouldn’t have a clue otherwise. Encouraged to be ‘touchy-feely’ with the food before resorting to cutlery, the textures prompted a guessing game of “what are we eating?”. My first bite kindled thoughts of duck sitting on a bed of lentils, whilst suggestions of chicken and pork came from my fellow diners. Although none of us really knew what we were eating, the meal was perfectly paired with a white wine. Moving to the main, I speculated beef with mushrooms and a delicious gravy, matched with a shiraz. I wasn’t doing justice to my cutlery, but in the dark, who is self-conscious about table manners? Dessert brought a unique combination of textures and flavours. Was I eating a mango flavoured dessert with fairy floss and popping candy? And then it seemed all too soon when, two hours later, we were ushered back into the light. Fear not, you do find out what you ate before you leave! Head chef Dinesh informed us that menus are seasonal and based on fresh produce. The new winter menu at Dans Le Noir? 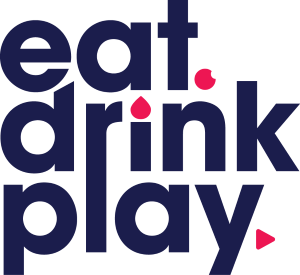 has just launched and will be surprising the next cohort of guests. We were pleased that our “what are we eating?” guesses were mostly correct. 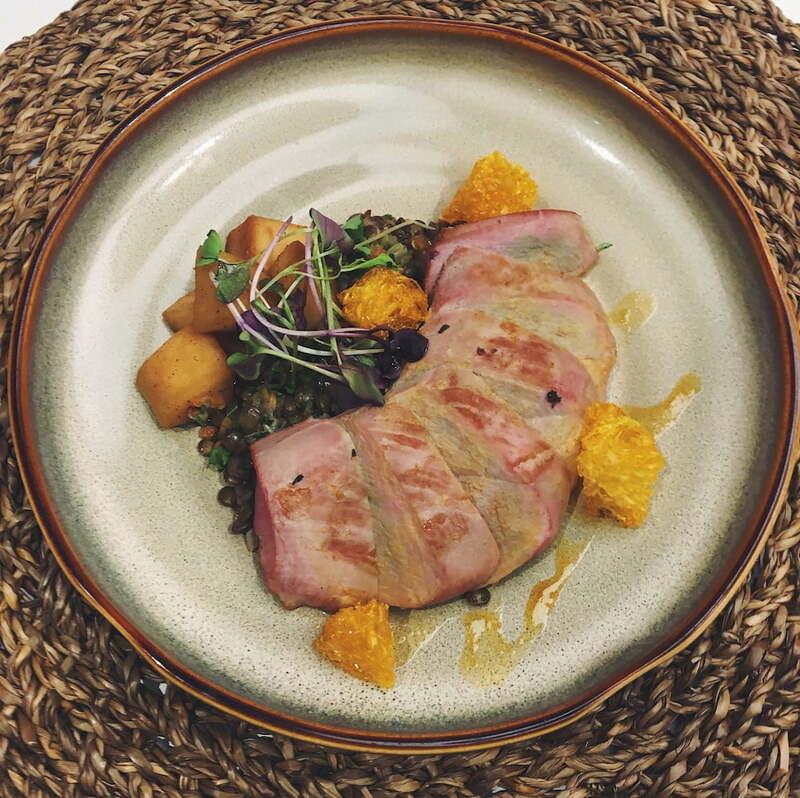 Our entrée, Chef Dinesh’s favourite dish, was a Magret duck breast with puy lentil, caramelized granny smith apples, and with orange-star anise reduction. This was perfectly paired with a 2017 Vinoque Yarra Valley Same Same Pinot Blend. The main was a black Angus sirloin with parsnip two ways, swiss brown mushroom, charred asparagus, and verjus. Matching this was a 2016 Woodfired Heathcote Shiraz. 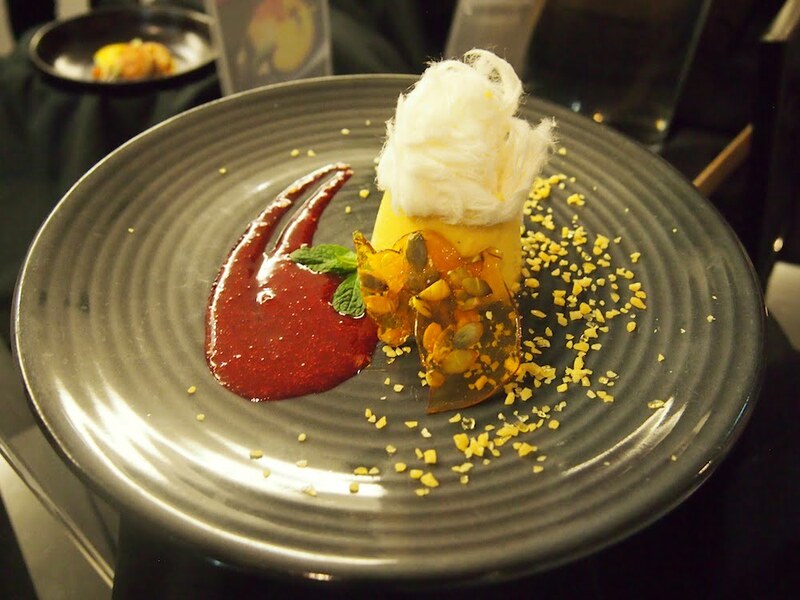 Finally, our dessert was a mango and cardamom pannacotta with berry coulis, popping candy, fairy floss, and a fresh mint and pepita praline. Alongside was a 2015 Noble One Botrytis Semillon. Usually, to be “left in the dark” is a negative, but the visual deprivation that Dans Le Noir? offers heightens our other senses and is therefore definitely worth experiencing. 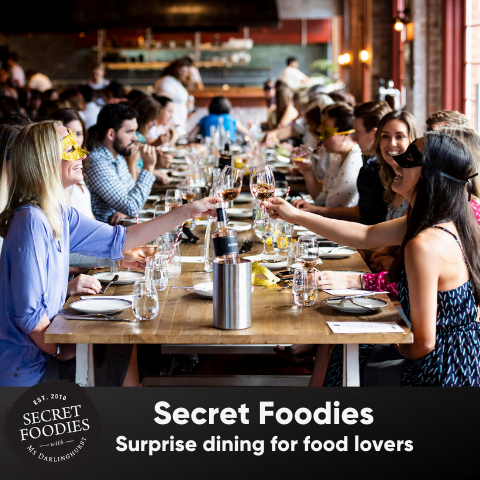 As Shakespeare said, “There is no darkness but ignorance.” So, grab a friend and open your eyes, or in this case close your eyes, to a new way of dining.